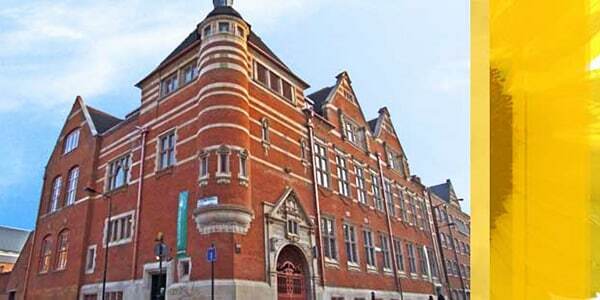 The Courtyard theatre is situated in a former public library (The Passmore Edwards Free Library, which opened in 1897). The building on Pitfield Street is a few hundred meteres from the site of the first ever purpose-built playhouses in England (Called The Theatre and The Curtain). The Courtyard houses a 150-seat main house as well as an 80-seat studio space. The theatre is home to the iambic Bar, a 100 capacity wine bar that has been used to host music events and as a filming location for many companies, including the BBC, Endemol, and Warner Bros. The theatre hosts a mixture of new writing, revived classics, and fringe transfers. In 2011, the venue hosted the UK’s first festival of horror theatre; the London Horror Festival.